This pattern is licensed to Adelphi Paper Hangings by the Historical Society of Old Newbury. Found in two front rooms of a 1777 Newburyport, Massachusetts house built for Captain William Pierce Johnson, this highly refined pattern reflects the taste for imported French papers in the early American Republic. The manufacturer has not yet been identified, although other examples of work attributed to the same maker are in the collection of the Musée de Papier Peint in France. The highly refined Arabesque pattern suggests strongly that it was executed by one of the great Parisian manufacturers at the end of the 18th century. 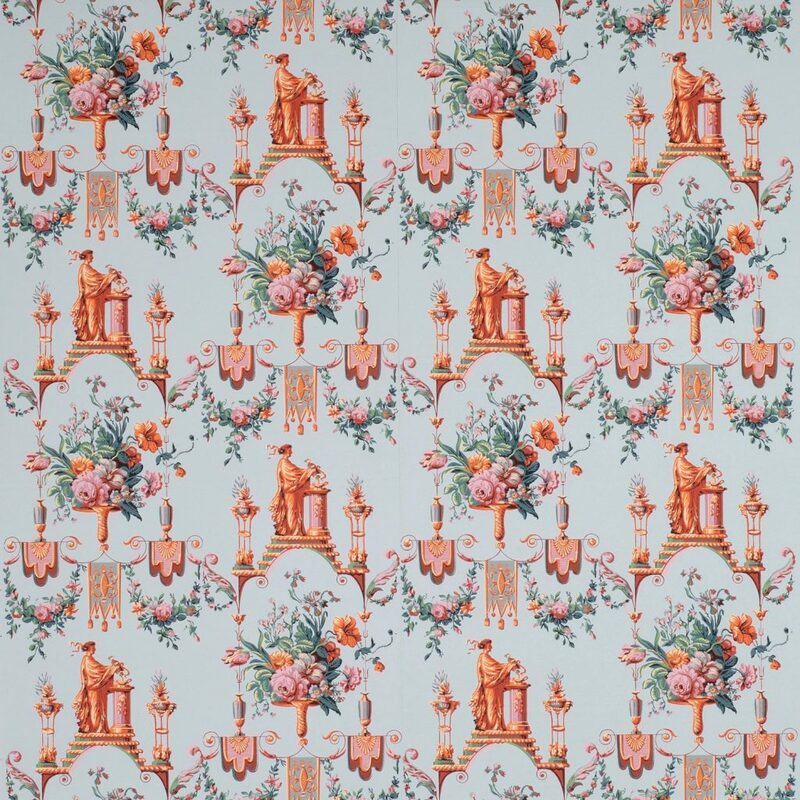 The motifs are a subtle combination of the neoclassical themes, made fashionable by the then recent excavations at Herculaneum, combined with traditional florals, a specialty of the French. The printing and design are precise and of a quality far surpassing any of the wallpapers produced in America at that time. The taste for neoclassical French papers continued from the 1790s right through the first decade of the 19th century. 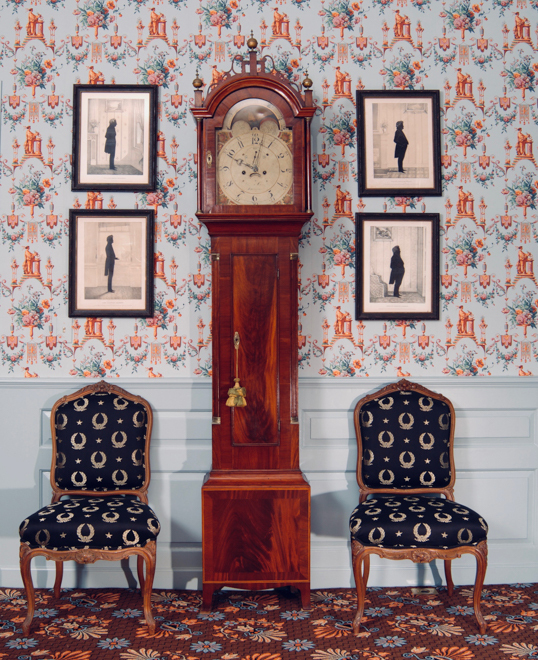 Neoclassical patterns similar to Adelphi’s Votive Goddess Arabesque are found in the 1805 Hancock-Wirt-Caskie House in Richmond, Virginia, and at the Mount in Bristol, Rhode Island, which was decorated after 1808. Imperial Measurements: Repeat 21 ¼ inches, width 21 ½ inches, custom length, straight match. Metric Measurements: 54 cm, 54.6 cm.